We can provide inspection and certification of all geotechnical related aspects of construction. Certification is usually provided in the form of a Producer Statement – Construction Review (PS4). These certifications are often used by Council to provide final sign-off of your building. For larger scale subdivision earthworks, earthworks monitoring, inspections and certification may be more involved and require a Geotechnical Completion Report or GCR to be produced. 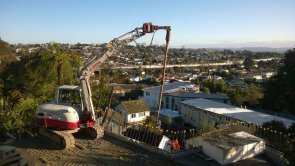 If you require a geotechnical engineer for a construction inspection or you would like further information, please contact us.